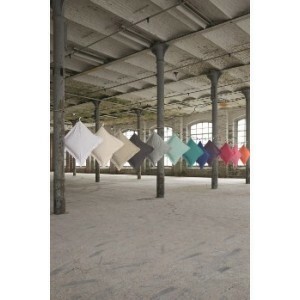 Sheets for a nice colorful room! 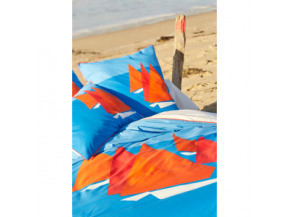 Find in this category all our collections of bed linen, to spend peaceful nights by the sea. 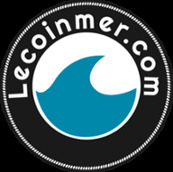 Duvet covers, sheets and embroidered pillowcases ... all collections Sylvie Thiriez selected by Lecoinmer.com to decorate your bed way ocean! Browse the different pages of the category and find the adornment that will dress your bed with lightness. For a pure and natural effect in your room, linen bed linen linen a robust, soft and very soft material (stonewashed treatment (washed with stones). Linen, quality material (170g / m²) authentic and chic it will integrate very well with your decoration littoral bucolic or modern. Beautiful flashy colors, pastel ... To adapt to each type of decoration. 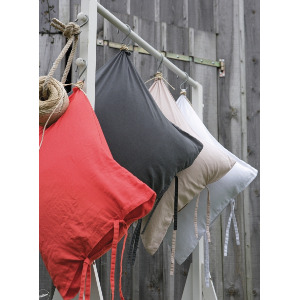 Made of 57 thread cotton "easy care" (softening treatment, facilitates ironing) or percale 80 threads combed cotton. It's up to you to make the finery that will please you, according to your favorite colors! Here is a nice collection of textile percale for the room, which will appeal to all ocean lovers! 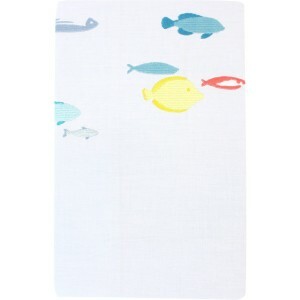 With patterns that will remind you of the seabed and their small inhabitants. This collection will fit perfectly with your coastal decor! You can find an assortment of sheets to dress your bed elegantly: the duvet cover, the flat sheet, the fitted sheet but also the pillowcase available in three sizes and the bolster case. 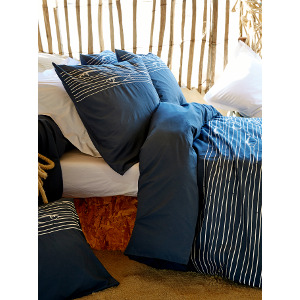 This set of sheets is navy blue and each piece is embroidered with small fish and white mascarpone colours ripples. So what are you waiting for to going offshore ?! Do you want to add colors and flowers to your beachfront apartment? 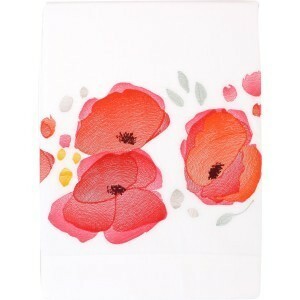 The Poppies collection is made for you, you can dress your bed with sheets on which you can see poppies. Red and white, the perfect colors to complete your decoration!